Volcanoes make many different types of sounds!! Loud explosions, bubbles bursting, rumbling, hissing, and roaring like a jet engine describe some of the sounds heard from volcanoes around the world. Stories of sounds from historical eruptions tell of loud booms and explosions from volcanoes heard thousands of kilometers away. One way to classify the types of sound recorded at both seafloor and land volcanoes is by when they occur. Prior to an eruption while the volcano is building up pressure, earthquakes and tremor from resonating dikes and conduits are common sounds captured by acoustic recording devices. 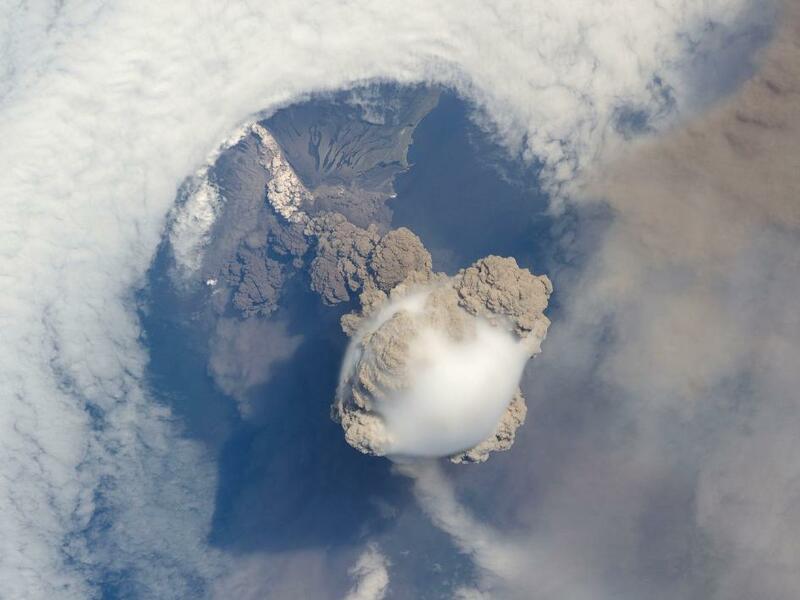 The second group of sounds occurs during the active eruption, consisting mainly of explosions, bubble bursts and gas jets escaping from volcanic vents. The links on the right hand side of the page will take you to pages describing the sounds and volcanic processes that occur before and during land and seafloor volcanic eruptions.